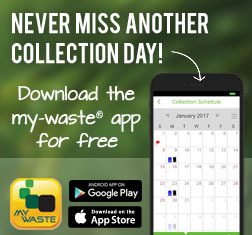 Clean plastic bottles and containers with mobius loops #1-7 are accepted. The Association does not accept all plastic containers because our markets don't. Plastic containers are the newest commodity to be recycled and the most difficult to understand. They are the newest because the plastic recycling industry in only a couple of decades old while the paper and metal recycling industry has been around for centuries. The most difficult because of the wide variety of plastic available. In the late 80's there were over 46,000 different types of plastics with that number growing everyday as researchers discovered new ways to make plastics or additives to give them new properties. For that reason alone the plastic industry developed a coding system that identifies which type of plastic a container may be made of. The system uses the numbers 1 through 7 inside of a mobius loop to identify the six main types of plastic with number 7 being all others. 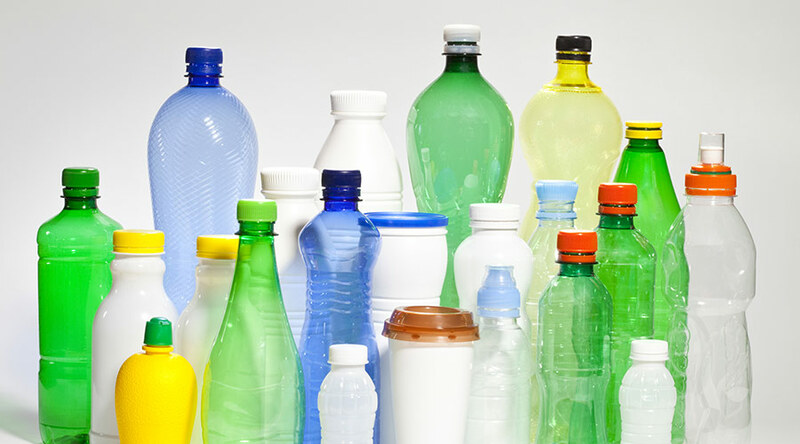 The coding system is very useful in identifying the type of plastic a container is made of but it is often confused by consumers as meaning that a container is recyclable. 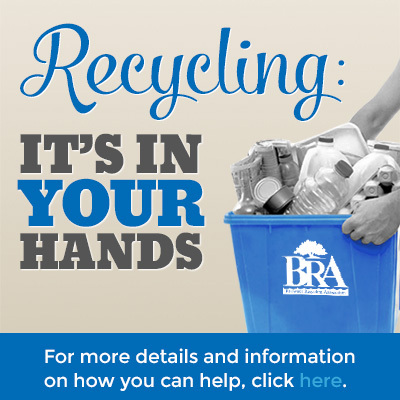 The Association only accepts plastic bottles and containers that have established long term markets. Retail plastic bags & film are accepted by the Association. 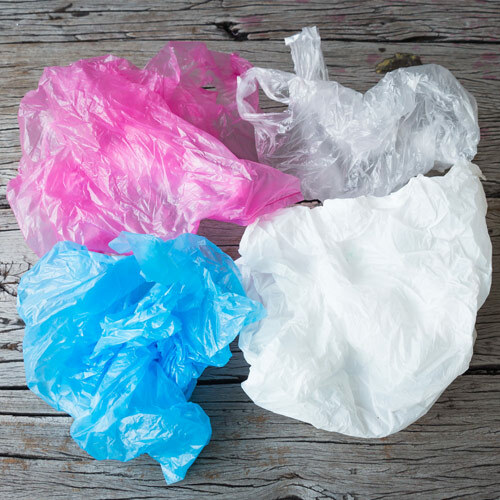 Plastic bags are identified by their non-rigid shape in the form of a bag. Bags labeled with #2 and #4 mobius loops are acceptable. Many items in the home are made of #2 and #4 polyethylene plastic film but very few are actually labelled. When the Association began collecting bags in 1989, it was limited to grocery bags. Over the years as residents wanted to do more, it was expanded to include other well known products such as bread bag, milk outer bags, dry cleaning bags, etc. These products are all "technically" recyclable, however, they are often contaminated with leftover products (bread, milk, paper tags, etc) or mixed with other non-recyclable film like the cereal bags, waffle wrappers, chip bags, stretch wrap etc. The contamination grew to a point where it was not manageable nor was it controllable at the curb because of the preparation methods. 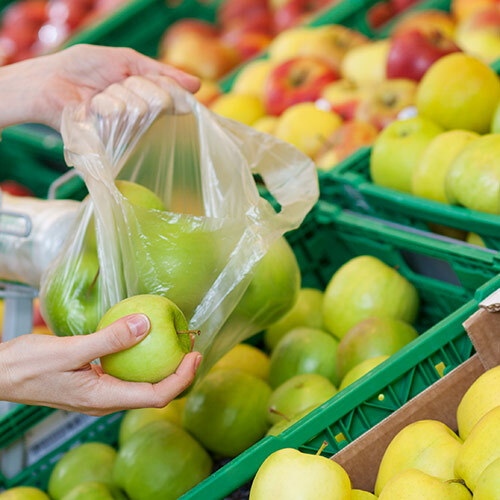 As a result, we are limited to accepting only grocery or shopping bags as they are the only type of bags delivered in a clean state suitable for end markets. The salt bags are generally made of a #4 plastic which is compatible with grocery bags however, their thickness and the content are the source of the problem. Because they are so much thicker, they do dot melt at the same temperature as the other bags. If they were mixed together they will plug the extruder or potentially cause a fire if the temperature is raised. The salt content also affects the float/sink separation technology used to separate contaminants out of the bags by changing the properties of the fluid in the tank. Biodegradable bags are not acceptable as they cause a serious problem for our end markets. If they are found in our loads, the whole load is rejected and disposed as they cannot be readily separated using current technologies and the degradability component affect the quality of their end products.